At the end of the 1970s, reports started emerging of increasing numbers of children suffering from back pain as a result of the shoulder bags that were the fashion at the time. In order to help prevent back problems, Fjällräven’s Åke Nordin created a lightweight, basic, durable backpack with plenty of room for all the essentials for a day at school. 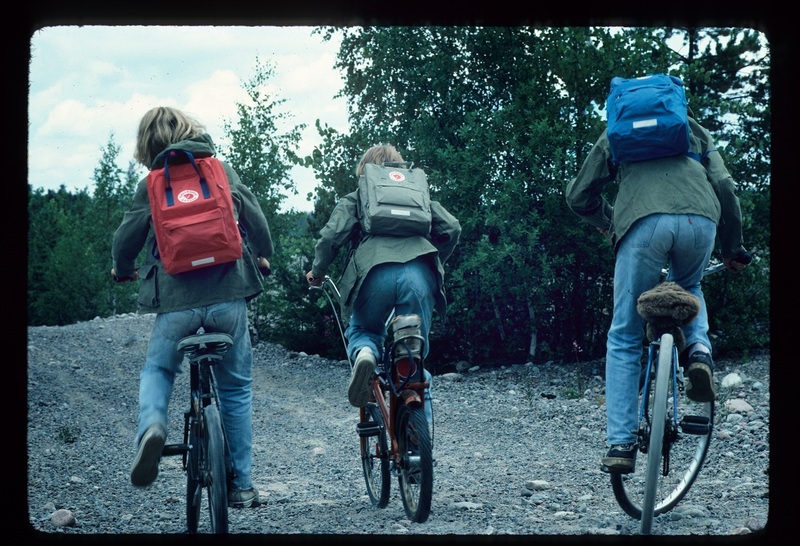 Kånken was launched in 1978 in collaboration with the Swedish Guide and Scout Association. More than 35 years later, Kånken has straightened out millions of backs and become one of Fjällräven’s most popular products. All that have changed are the colours, as well as releasing a few variants, such as Kånken Laptop. The Swedish Society of Arts and Crafts, which popularize Scandinavian design, took the Fjällräven’s iconic Kånken backpack for a list of protected art items. As a celebration, the manufacturer expanded its offer with limited edition custom bags and started the #Kankenart campaign on its social media channels. By 2015, the product line bags of 3 million units sold have been preserved since the beginning of the simple design created by the founder of the brand in 1978. The Swedish rucksack manufacturer’s popular backpack has become an iconic piece in the fashion world over the last few years. Fjällräven’s humble little Kånken backpack as Svensk Form remarked, Kånken is something more than just a functional object. It has a distinct personal touch in design and a distinctive form identity and became an iconic piece of the fashion world over the last few years. In view of these circumstances has such a degree of originality that it appears as its own intellectual creation. Kånken enjoy copyright protection as an applied art and now officially is a piece of art and it is one of the world’s best-selling rucksack. More to it, has become a symbol of Swedish style and durable design both at home and abroad. Fjällräven’s designers put their crafty heads together to create special edition webbed straps in some of the most popular colours for both Kånken and Kånken Mini. Kånken fans will be able to choose between stripes, checks, graphic patterns and colour blocking as part of the outdoor brand’s Fjällräven Colours Fall/Winter 2017 campaign.